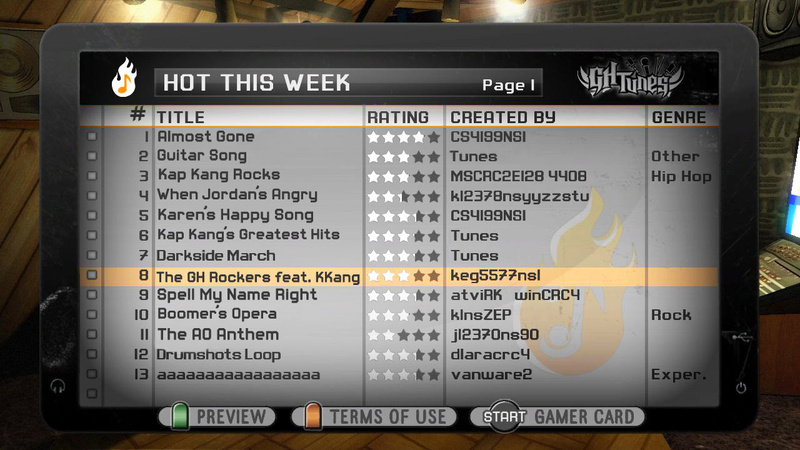 Sorry, no review of Guitar Hero: World Tour yet. 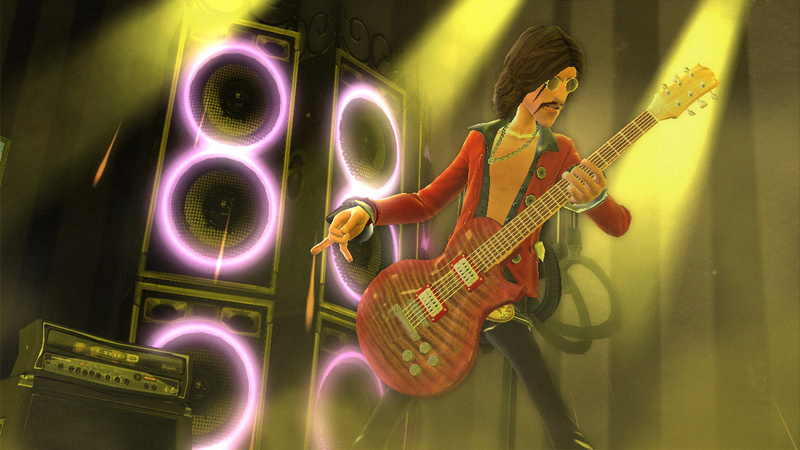 When the house lights go down this fall, a new generation of axe shredders, drummers and fearless frontmen will be born with Activision’s Guitar Hero World Tour. 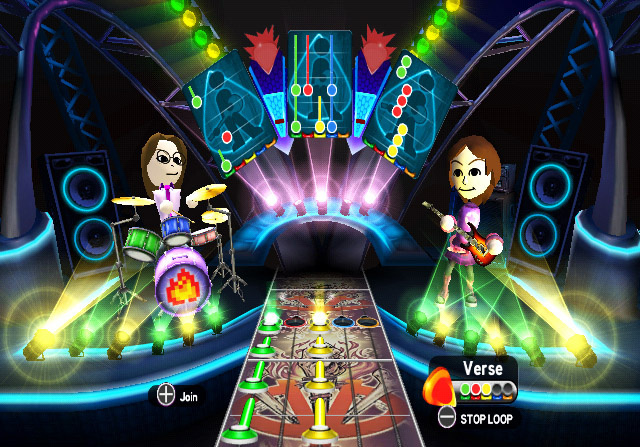 The latest installment in the best-selling music/rhythm video game franchise, Guitar Hero World Tour transforms music gaming by expanding Guitar Hero’s® signature guitar gameplay into a cooperative band experience that combines the most advanced wireless instruments with new revolutionary online and offline gameplay modes including online Band Career and 8-player “Battle of the Bands,” which allows two full bands to compete head-to-head online for the first time ever. 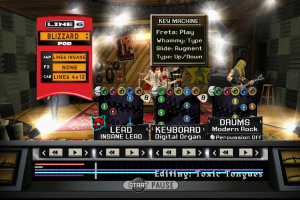 The game features a slick newly redesigned guitar, an authentic electronic drum kit and a microphone, as well as an innovative Music Studio music creator that lets players compose, record, edit and share their own rock ‘n’ roll anthems. 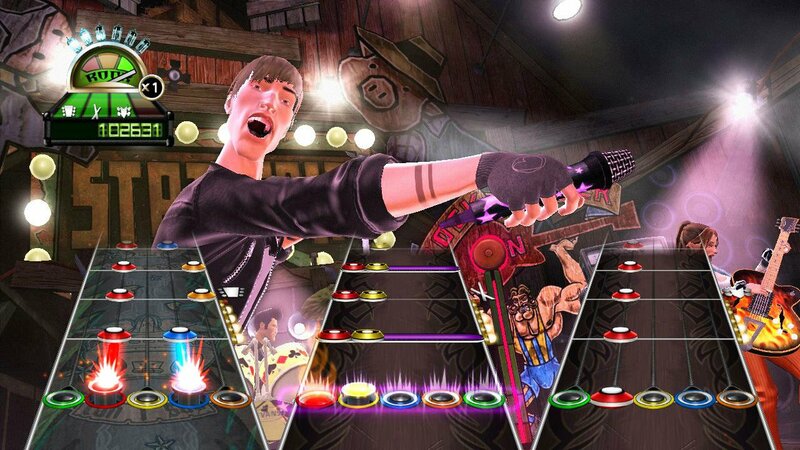 State of the Art Wireless Instruments – In addition to a newly redesigned, more responsive guitar controller which features a touch-sensitive slide bar on the neck, Guitar Hero World Tour will deliver the most realistic drum experience ever in a video game with an authentic drum kit. 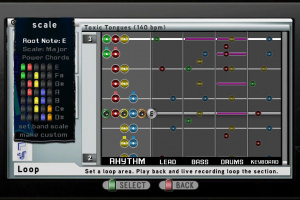 Featuring three drum pads, two raised cymbals and a bass kick pedal, the drum controller combines larger and quieter, velocity-sensitive drum heads with soft rubber construction to deliver authentic bounce back and is easy to set up, move, break down and store. 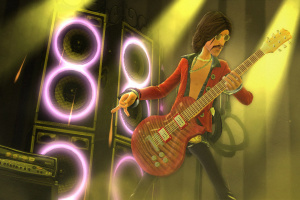 The Next Great Songwriter, is You – Guitar Hero World Tour’s innovative new Music Studio lets players express their musical creativity by giving them access to a full complement of tools to create digital music from scratch utilizing the redesigned touch-sensitive guitar controller and an authentic drum kit. 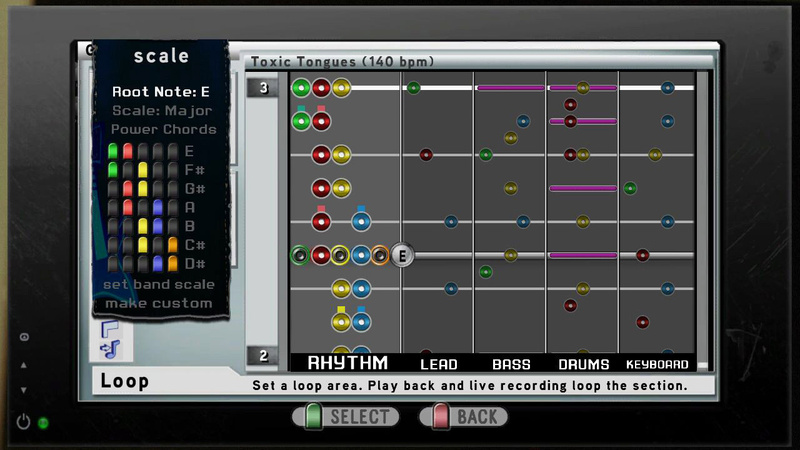 Virtuosos can then play their compositions in-game and share the recordings with the entire Guitar Hero community through GHTunes™ where other gamers from around the world will be able to download and play their original tracks. 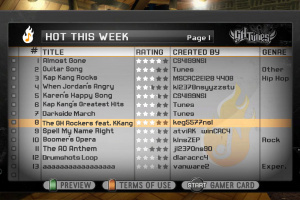 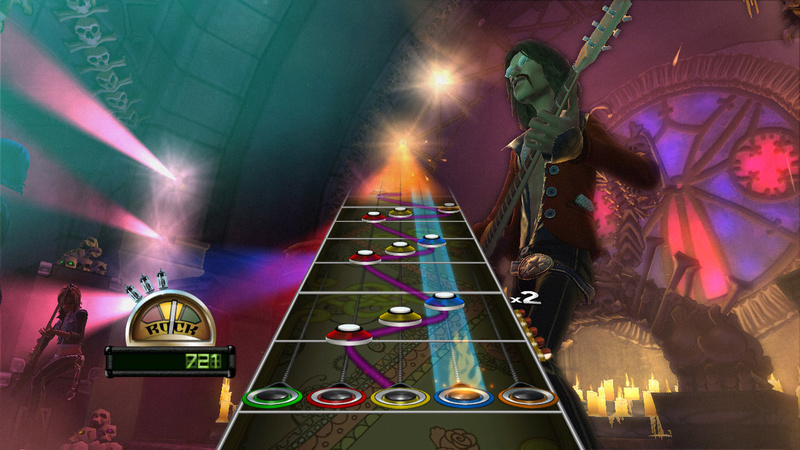 An Original Set List that’s Truly “Everlong” – Guitar Hero World Tour features the largest, most diverse on-disc set list to appear in a music-based video game. Comprised entirely of memorable master recordings from some of the greatest artists of all-time including Van Halen, Linkin Park, The Eagles, Sublime and many more, Guitar Hero World Tour delivers over 85 tracks for countless hours of rocking. 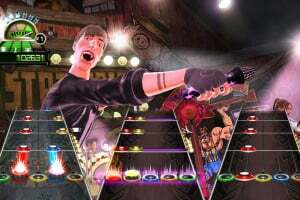 In addition to the killer track list, the game will feature rock icons such as Hayley Williams of Paramore and Travis Barker of +44 and blink-182 and a collection of many other superstar musicians making their video game debuts on the Guitar Hero stage. Don’t Stop Till You Get Enough – Starting with initial releases at launch, gamers will be able to expand the “Everlong” set list with frequent downloadable singles and track packs – including for the first time ever, in-game downloadable content on Wii. 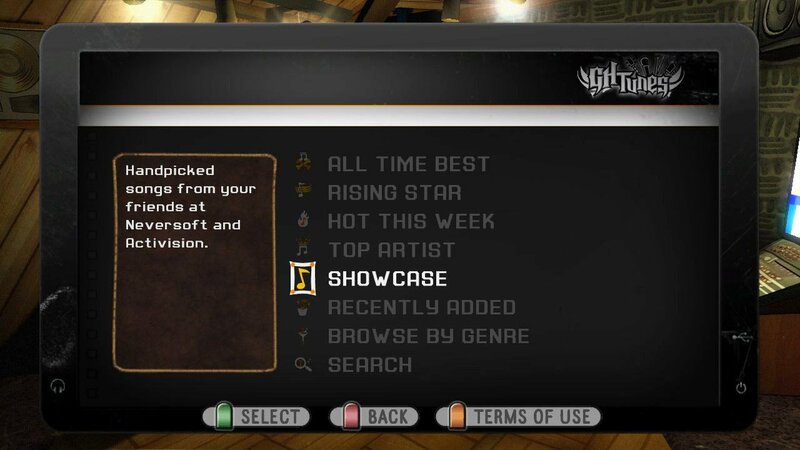 Making the options endless, rock stars will have a limitless supply of downloadable content through GHTunes™ creating a set list where the music never ends. 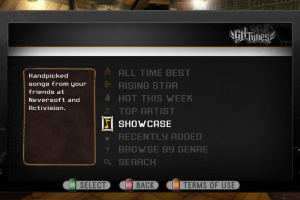 In both the quickplay and career game modes, gamers can build their own playlists which allow them to select and perform up to six tracks in a single gig. 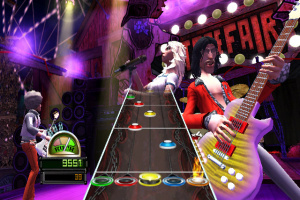 Making the Band – Guitar Hero World Tour features an all-new cooperative band experience allowing gamers to share in the most social and expressive music revolution ever. 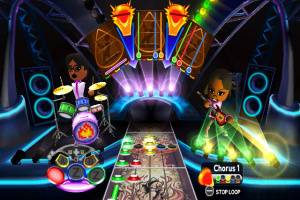 Budding rock stars can live out their rock ‘n’ roll fantasies by playing either a single instrument or any combination of instruments, in addition to the full band experience. 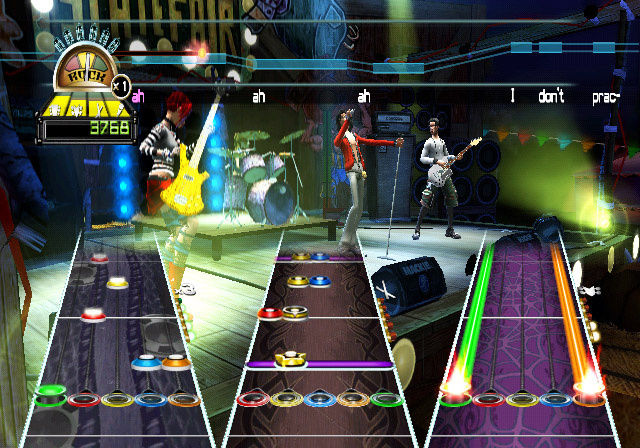 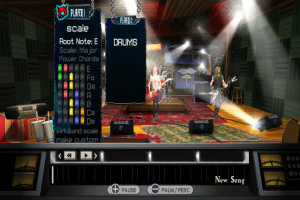 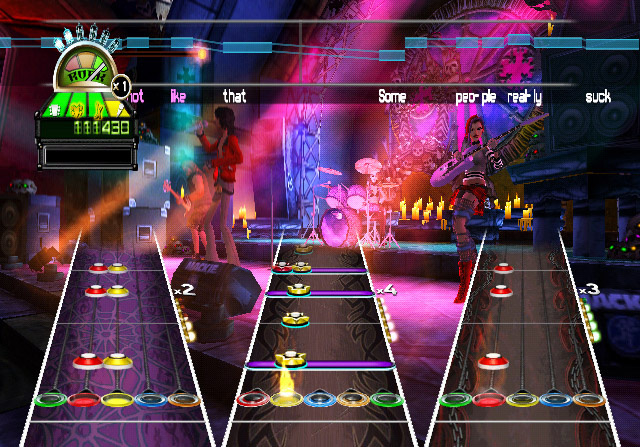 When rocking as part of a band, up to four players can jam together in quickplay or as they progress through a career. 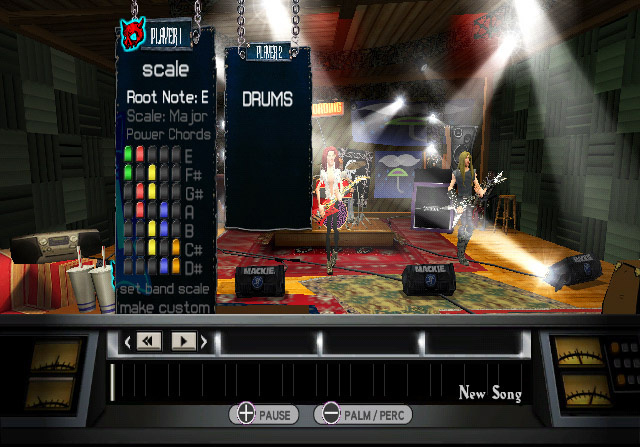 Both band and single-player careers feature non-linear progression giving artists the option to change difficulty and instruments with a variety of different gigs available at any time. 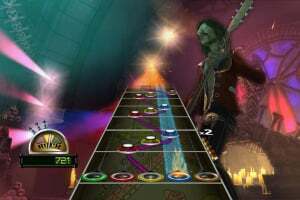 Global Invasion – Guitar Hero World Tour introduces revolutionary new online game modes including “Battle of the Bands” which allows eight players to join online and challenge each other band-to-band to establish global supremacy. 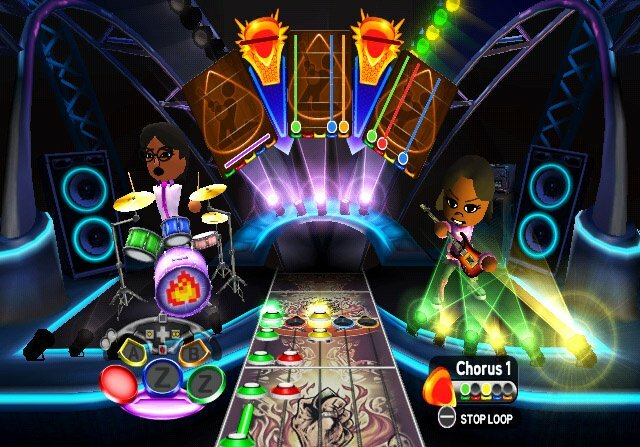 Virtual musicians in need of band mates can take their careers online forming worldwide ensembles so no rock star ever has to play a gig solo. 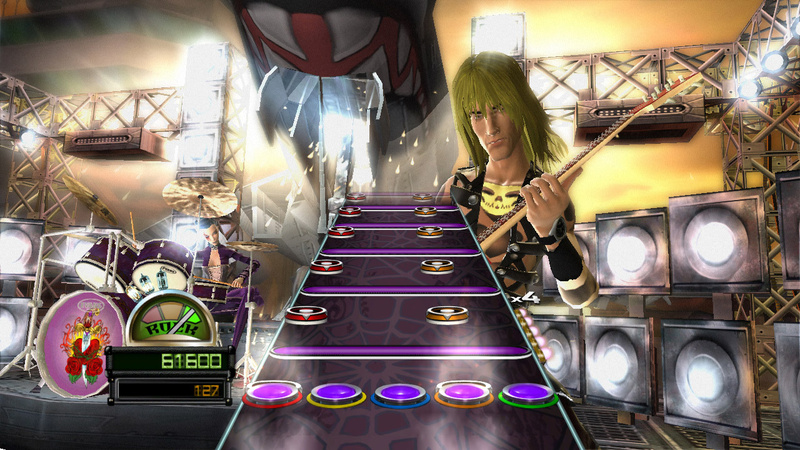 Fully Customisable – Featuring one of the most extensive character creators ever, Guitar Hero World Tour allows gamers to create a rock star with style as unique as their own. 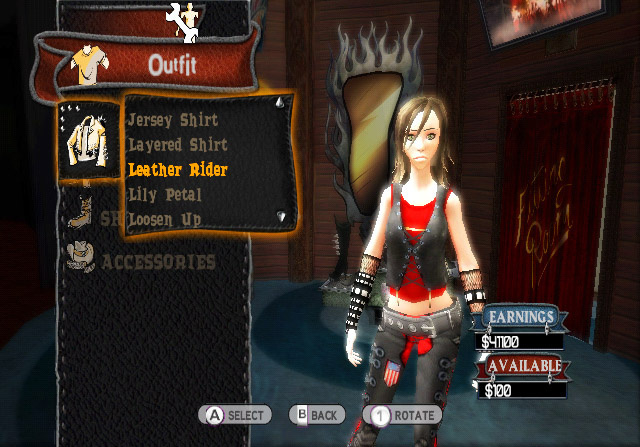 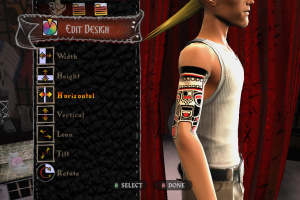 Absolute customization from the clothes to the facial and body structure to the tattoos and accessories, players are encouraged to unleash their inner rock legend. 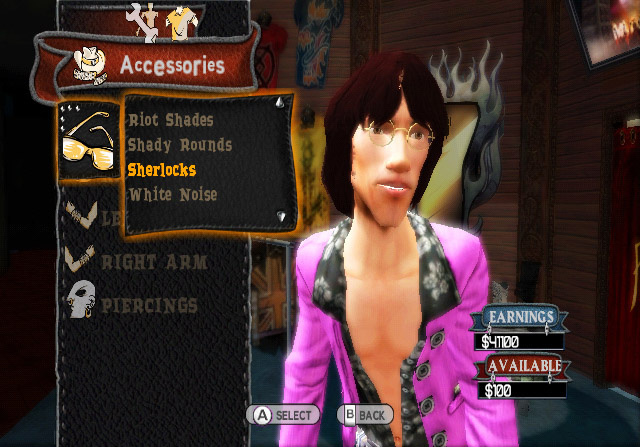 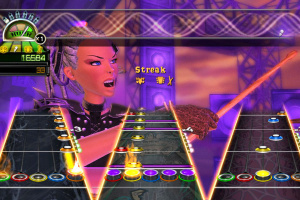 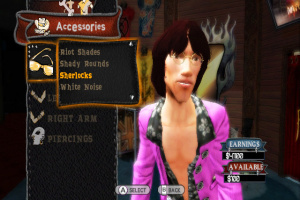 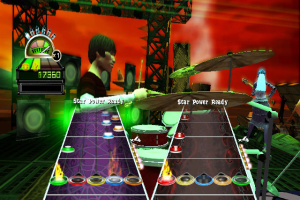 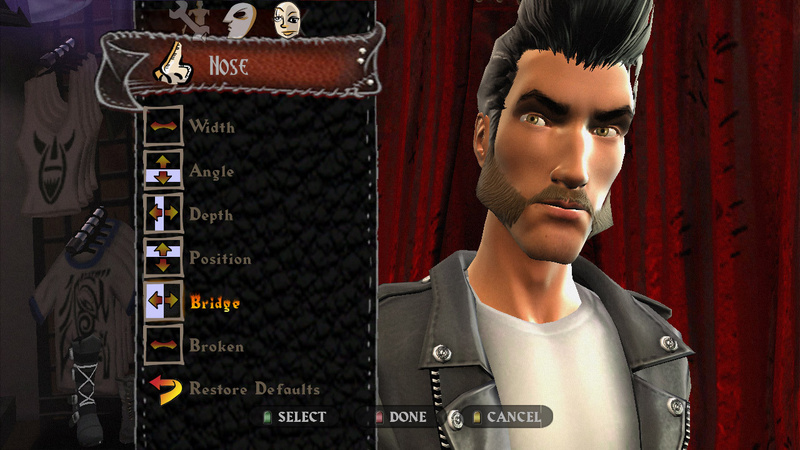 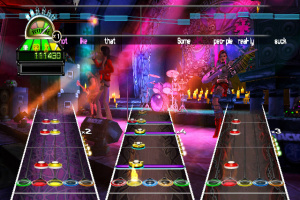 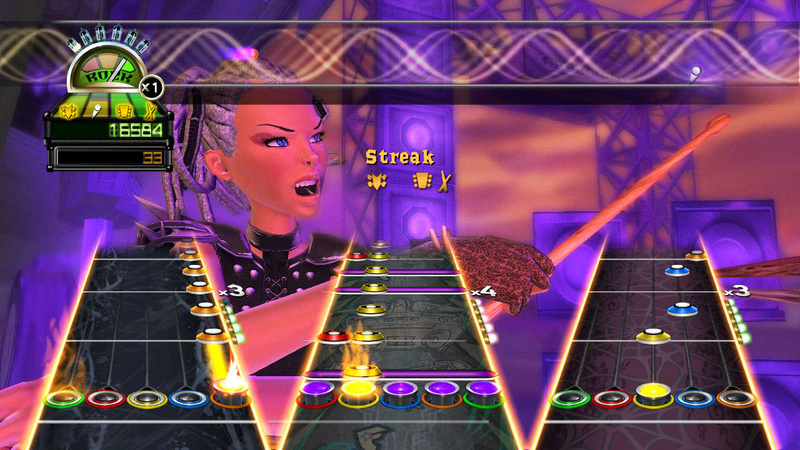 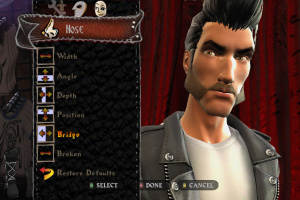 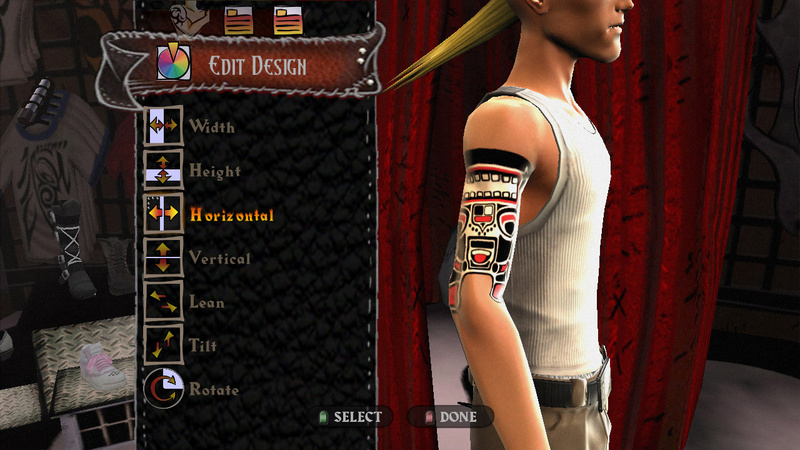 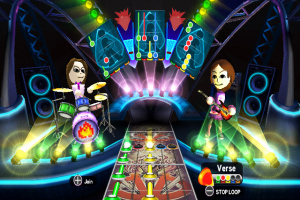 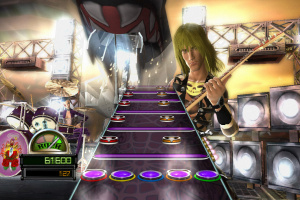 The Rock Star Creator doesn’t just allow players to build the ultimate rock god; the in-depth creators include the ability to customize guitars, drums and microphones. 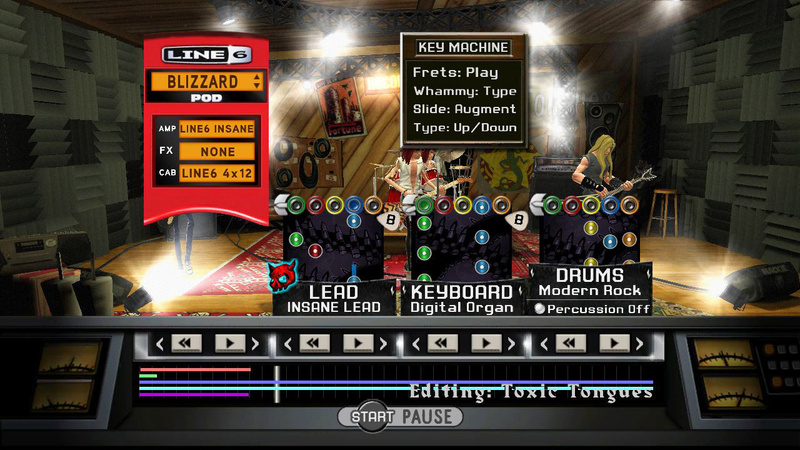 Adding yet another layer of personalization, gamers can create custom logos for their instruments, band or album covers. 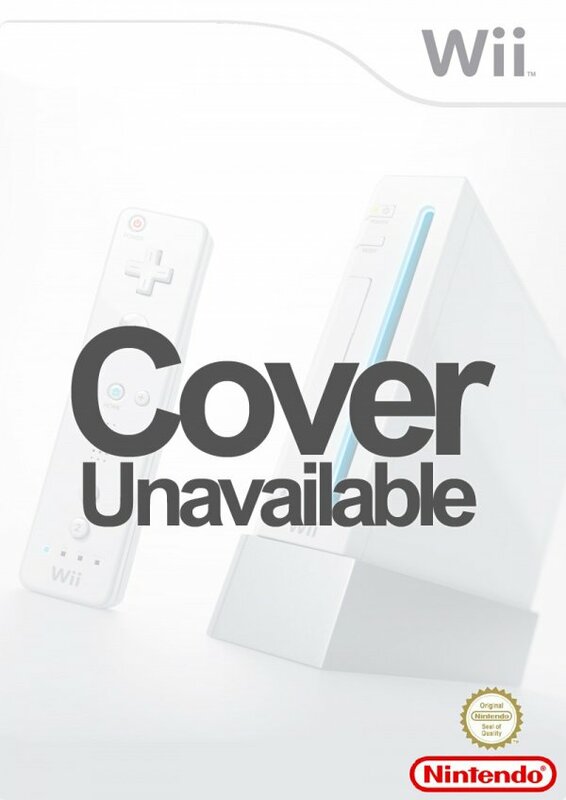 what's this doing on a VC site? I'll write the review if you like.